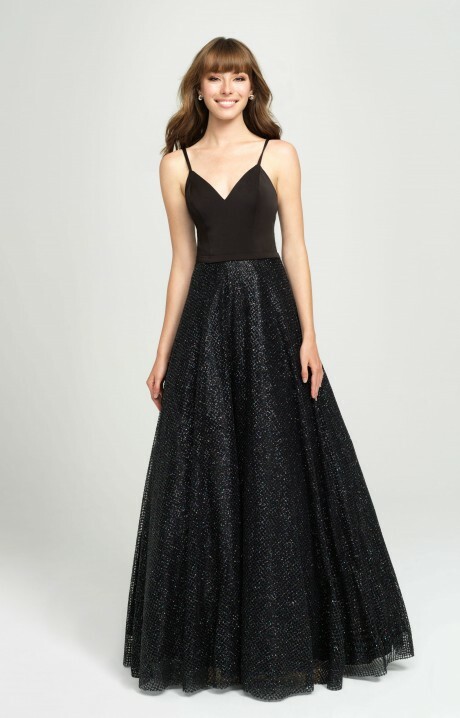 Shine and sparkle with every step you take while wearing this Madison James 19100 ball gown dress. 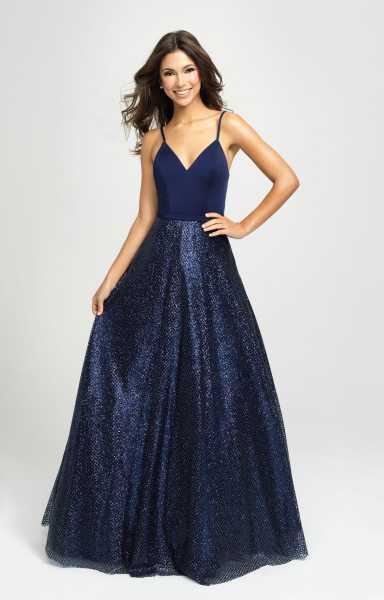 This dress has a satin bodice with skinny straps. The dress has a zipper closer. The skirt is a tulle fabric with glitter through out it. This ball gown is a must have!